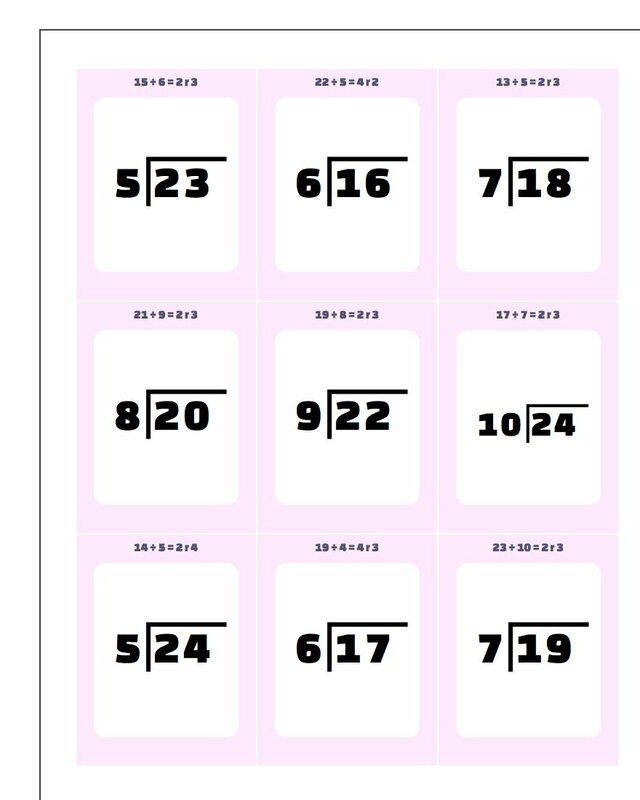 While you may question why you need to memorize flash division with remainders facts, they can quickly develop number sense and help with long division work later where you have to estimate a possible small division quotient that may not be a precise fact. 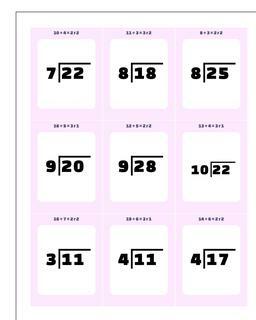 These flash cards for facts with small remainders are a great exercise for students who have mastered their division facts and are just starting long division. 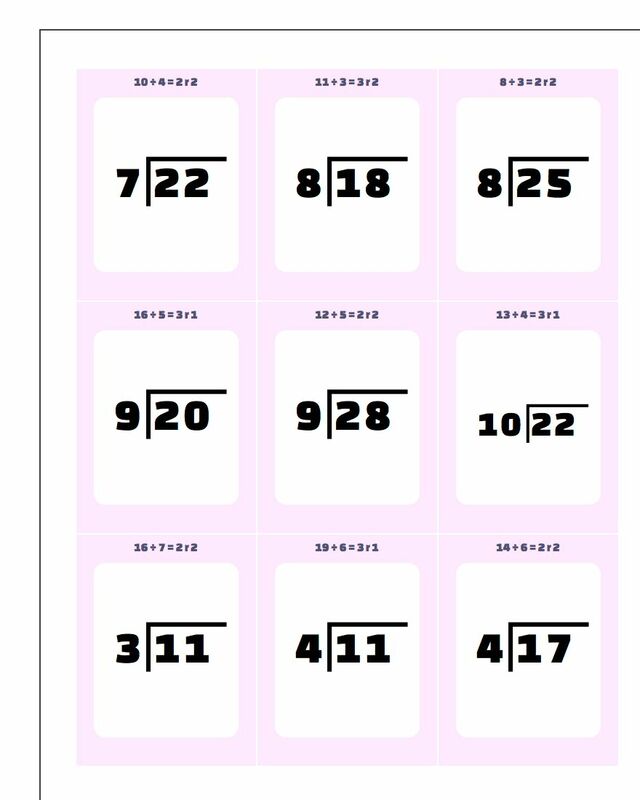 Do you need more division practice? 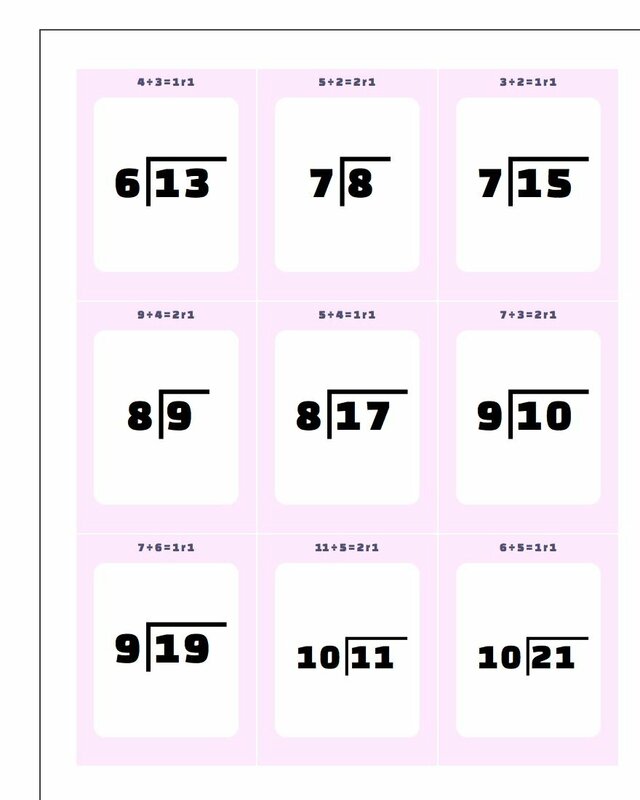 Are you working on long division, and those little divide-and-take-the-remainder steps are just stumbling you yp? 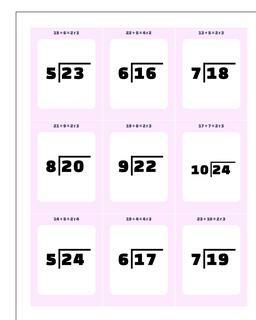 These division with remainders flash cards are the perfect practice for long division afficiandos, or just kids who are ready to for more of a division challenge. 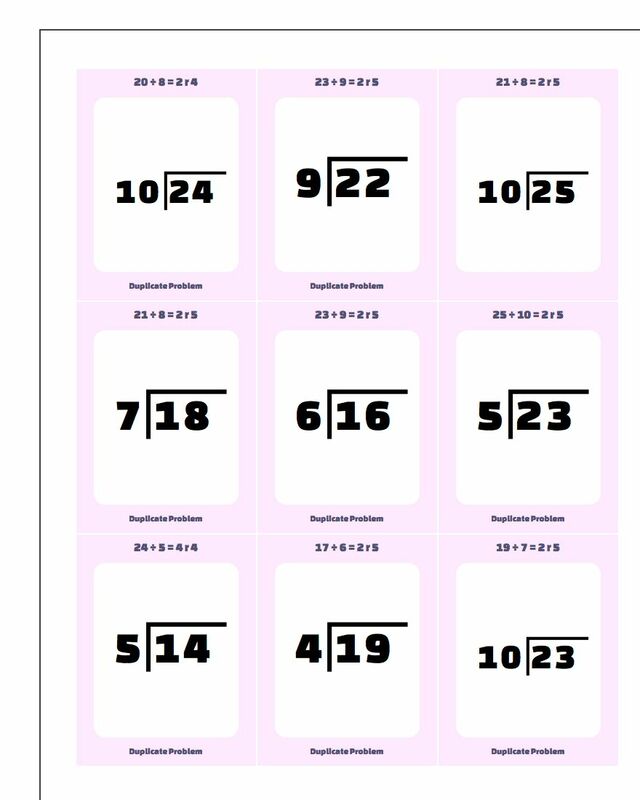 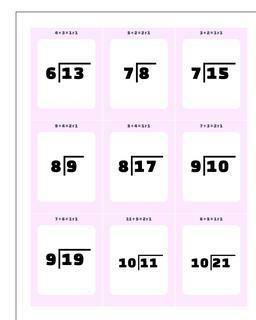 Print them out and mix them into the regular Division Flash Cards for an even more challenging division problem workout. 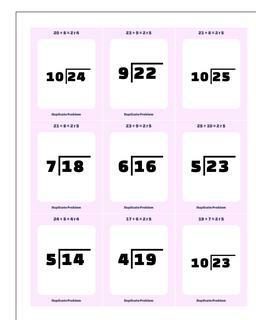 When you're ready for more division practice, be sure to try out the worksheets below!